To meet the demands of drives applications, special design and manufacturing processes are utilized. Engineering’s approach is to account for worst case scenarios, assuring conservative designs leading to long transformer life, even under severe applications. Manufacturing utilizes special winding techniques and equipment along with precision assembly and blocking methods, to maintain electrical and mechanical integrity while under stress. MGM Transformer Company specializes in working with drives manufacturers to design and supply transformers to meet their exact equipment requirements. Once specifications are determined, a matrix of designs and pricing can be established for the manufacturer, streamlining the ordering process. With a product range to10,000kVA in both liquid-filled and dry type, and an engineering staff capable of designing to most any application, MGM Transformer Company is positioned as a leader in drives isolation transformer manufacturing. The highest-quality materials and manufacturing processes combined with skilled and flexible custom-engineered design enables MGM Transformer Company to understand, design, manufacture and support to your exact specifications and requirements. We make certain that our world-renowned quality is exemplified by every product carrying our label. 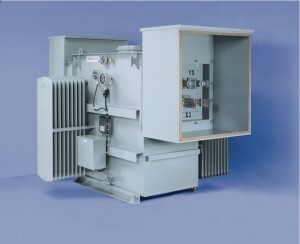 MGM’s three-phase liquid-filled secondary substation transformers are specifically designed to change distribution voltages to utilization voltages to meet any industrial or commercial application. All of our products are designed to meet or exceed applicable ANSI, NEMA and IEEE standards and can be supplied with many combinations of terminal arrangements. Our mission is to ensure operational excellence, be the leader in quality transformer product and attain the shortest cycle times in the industry. MGM Transformer is known by its many industrial customers for providing reliable, custom-built transformers with faster turn-around times than any other manufacturer. Our transformers will meet and exceed both your and your customers’ expectations; whether needed for standard distribution loads or high-impact drives or process rectifiers. Contractors know they can depend on MGM Transformer even when the job requires small footprints, low sound levels, non-standard documentation, matching dimensions or any other critical consideration. Reduced lead times are available as well through our “Bull Rush” program. ANSI standards enable only 5% maximum harmonic content of load current for standard distribution transformers. If the distribution load consists of electronic power supplies, electronic ballasts and adjustable speed motor control, it would be prudent to investigate the harmonic content and, perhaps, specify a “K Rated” transformer. MGM can help you determine required “K Factor” from the applicable harmonic current spectrum. The oil-filled unit is the least expensive transformer, and is suitable for mounting outdoors or indoors enclosed in a vault. The oil used in MGM transformers meets all the requirements of ANSI C57.106 and ASTM D-3487, has high dielectric strength, is free from impurities, is durable and has a high flash point These features make it an excellent insulating liquid. The silicone fluid selected for use in MGM transformers is a clear, liquid silicone polymer (polydimethyl-siloxane) that has been specially processed to meet exacting dielectric specifications. To obtain an optimum combination of heat transfer and fire-resistant properties, the transformer silicone fluid has a viscosity of 50 centistokes at 25°C. This fluid has a minimum fire point of 300°C and oxygen index of 21. The silicone fluid that we are using meets paragraph 450-23 (Less-Flammable LiquidInsulated Transformers) of the National Electrical Code. OSHA by its Program Directive 100-68 permits the use of silicone transformers as equivalent to askarel transformers in its enforcement of the National Electrical Code. Transformer silicone fluid has suitable dielectric characteristics, is compatible with other materials used in construction of transformers and has shown good thermal stability in accelerated aging tests with transformer materials. A Fire-Resistant Hydrocarbon Fluid (FRHF) dielectric coolant formulated for use in distribution transformers is available when its unique electrical, thermal and safety properties are advantageous. It is non-toxic and readily biodegradable. It is also referred to as a High Fire Point Fluid, a High Molecular Weight Hydrocarbon or a LessFlammable Dielectric Liquid. The dielectric coolant is a listed less-flammable fluid meeting the requirements of National Electrical Code section 450-23, including a minimum fire point of 300°C and the requirements of the National Electrical Code (IEEE C2-1993). Section 15. MGM tanks are rugged, constructed from precision cut steel and braced to withstand the stresses of shipping, rolling and jacking. They will withstand a pressure or vacuum of 7 psi without damage, deterioration or leaking. All tank bases are designed to permit rolling in any direction perpendicular to a tank wall. A bolted hand hole is provided in the cover, which is welded on. Leak tests are performed before tanking and pressure tests prior to painting. Any combination of throat, flange or terminal chamber are available to match the requirement of a variety of high voltage switches and low voltage distribution sections. Custom design termination is also available for matching existing switch gear in the case of PCB change-outs. Advise your MGM Transformer sales engineer of the drive application, i.e., steel rolling mill, paper machine winder, pumps, Banbury mixer, etc., so that they can identify potential areas of concern when providing a budgetary estimate. For instance, steel mill drives are known for high impact loading; chemical plant applications may require special corrosion-resistance features, etc. This information is given as a percentage of rated load applied over a specified time period: It is important to the transformers’ design because it provides a picture of thermal and impact loading. It is important to identify regenerative modes as well. Care should be taken to identify stop times. A graph is very often the most convenient manner in which to disseminate this information. It is important to identify whether the drive is an AC or DC drive (and whether it is 6, 12, 18 or 24 pulse), a cycloconverter or a load commutated inverter drive. 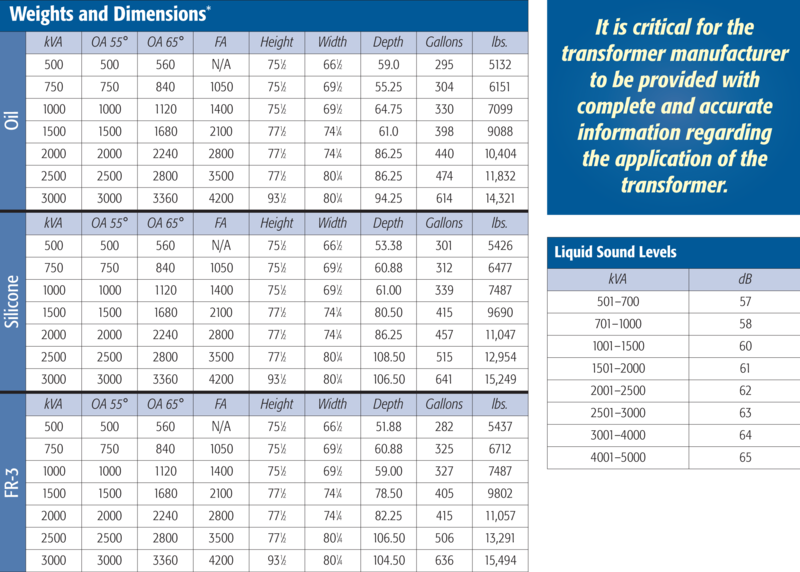 This information provides valuable harmonic loading information we will use to select or create the ideal design for your specification. Need it fast? We can deliver. Emergencies happen and we can expedite the manufacturing of your units to meet your delivery requirements. Ask about our Bull Rush program when you place your order and we can manufacture and ship your unit in as fast as three weeks!